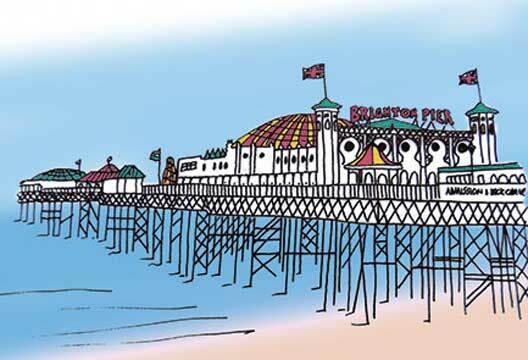 Our editor Jon Sutton reports from an awards symposia at the Society's Annual Conference in Brighton. Rarely is the British Psychological Society strapline of ‘Promoting excellence in psychology’ so to the fore as during a conference awards symposia. Here were four superb speakers in their own right, presenting separately but finding common threads through their work, showcasing the very best the discipline has to offer. First, Dr Praveetha Patalay (University of Liverpool), winner of the Outstanding Doctoral Research Contributions to Psychology Award, outlined determinants and developmental trends surrounding child and adolescent wellbeing in the UK. In child mental health, the focus has been on psychopathology not wellbeing, and it’s an important distinction: the two are not as closely linked as you might think, and do not behave the same developmentally either. Using large scale British cohort studies (which Patalay noted psychologists make less use of than other disciplines), we find that some of the aspects that matter for mental ill health don’t matter so much for wellbeing, and vice versa. For example, factors associated with wellbeing at the age of 11 include whether the young person likes and is engaged with school, feels safe in local neighbourhood, and perceives their own family to be richer than friends. For mental illlness, individual characteristics are more important, such as chronic illness, communication difficulties, special educational needs, and cognitive ability. Curiously, high family income is a risk factor for wellbeing, but protective factor for mental illness. Spearman Medal winner Dr Michael Banissy (Goldsmiths University of London) researches how we share the experiences of others. First hand touch and so-called ‘vicarious touch’, responding to another person being touched, recruit many of the same brain areas, can be socially modulated, and serve as a useful model to study empathy. Banissy takes this further by looking at the mechanisms underlying ‘mirror touch synaesthesia’ – those who actually map the sensations of other people onto their own body. It’s not just about a level of activation: people with mirror touch synaesthesia have differences in how they represent the self vs other. They show a greater tendency to treat other people like themselves, and this may be mediated by reduced brain volume in the right temporal parietal junction. Independent Practitioner Dr Joanna North, recipient of the Award for Distinguished Contributions to Professional Psychology, certainly pressed the empathy buttons as she presented lessons from a decade of adoption support. The good news is that professionals are now more skilled at identifying the psychological and emotional impact of the adoption process on the adoptees: ‘we didn’t have a language to talk about the process of adoption. We now allow children to think so much more about the experience.’ But that’s not to say the process is now smoother or less complex. ‘Adoption is a very political act now,’ North said. ‘There’s a tension between right to find a birth parent as opposed to the right to remain cared for and safe for the rest of their lives.’ The idea of a craving for a biological parent has not been allowed to surface into consciousness, North said, and there are new ‘twists and turns’ to the process, particularly social media: ‘Children find their birth parents with a few clicks of the mouse.’ This can leave adoptive parents ‘devastated by the experience of what they perceived as absolute treachery of their adopted children’, the child broken by unfulfilled promises, and it’s ‘absolutely nobody’s fault’, North said. Many children do have a happy and secure experience, she acknowledged, but ‘conflict – between the biological, magnetic sense of belonging as opposed to the legal sense – is always going to be there.’ So what can be done? North outlined interventions – weekly counselling, advice on development and behaviour, and the building of a coherent life story for the child which they have to learn to live with. Finally, Professor Alex Haslam (University of Queensland), winner of the Presidents’ Award for Distinguished Contributions to Psychological Knowledge, introduced the new psychology of health: ‘unlocking the social cure’. As ever, his research is hugely collaborative, theoretically integrative and practically important. We’re ‘absolutely appalling’ at understanding the importance of social factors as predictors of mortality – people ‘embrace a medical model’ and assume it’s all about smoking, physical activity, weight etc. ‘Scientifically speaking, this is a profoundly unsatisfactory state of affairs,’ Haslam warned. In fact, a large part of our sense of self derives from group memberships, and this ‘social identity’ is qualitatively distinct from and irreducible to personal identity. It’s the basis for group behaviour and associated social processes such as trust, influence, organisation and leadership, but it also has implications for self-esteem, control, belonging, social support, coping, resilience, purpose and meaning. From these ideas stem 15 hypotheses associated with the social identity approach to health, transcending ‘harmful’ sub-disciplinary boundaries. Drawing on data from the BBC prison study and more recent research including with migrant populations, Haslam focused in on the paranoia and psychosis. He concluded that contrary to the idea that psychosis has purely biological, genetic or intrapsychic causes, there are grounds for seeing it as the product of an interaction between these things and social context. The social psychological dimensions are ‘major not minor, foundational not peripheral, essential not incidental to effective intervention’. Yet, Haslam argued, compared to our investment in medical research, our investment in this line of inquiry is pitiful. ‘There’s a lot of low-hanging fruit here… social psychologists need to get out more’ in order to engage with issues of real life significance. The four excellent presentations certainly did that, and we hope to publish articles based on the work of these award winners over the coming year. - More coverage from the Society's Annual Conference will appear here in the coming weeks, and in the July print edition. Find out about our 2018 event.